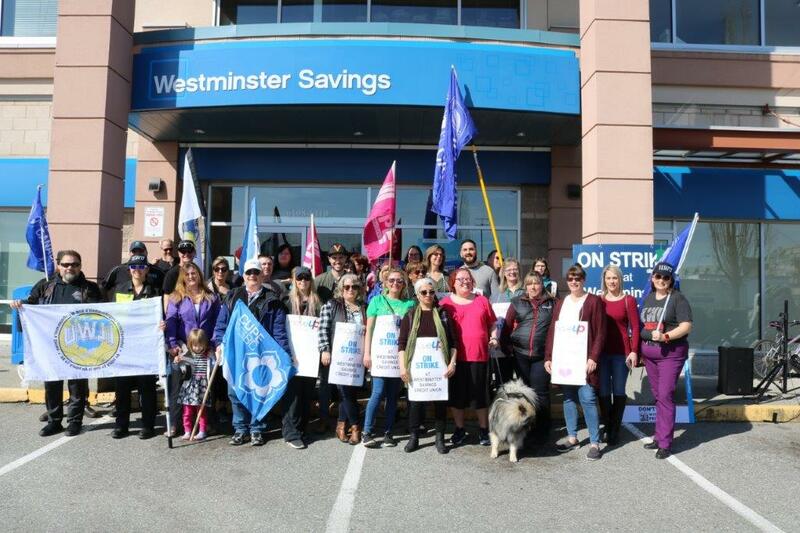 The labour movement, elected officials, credit union members, and members of the community in Port Coquitlam all came out in full force on Saturday, March 16 on support of MoveUP members fighting to save the pension for the next generation of workers at Westminster Savings Credit Union’s Shaughnessy Station branch on Saturday, March 16. Even mother nature proved to be a big fan of our workers as it was a gorgeous day for a rally and BBQ. Countless unions were represented at the event while many special guests were on hand as well including many leaders of the labour movement, as well as Port Coquitlam Mayor Brad West and Port Coquitlam MLA Mike Farnworth. Saturday marked the 54th day that the MoveUP members have been on the picket line. The members went out on strike on January 22.